Click on a name to email someone. Tom finished his PhD at the end of 2016 and after a few months travelling he returned to the lab to finish up his maize genetics, characterizing genes that regulate C4 leaf anatomy. Julia joined the lab in 2017 having completed her PhD at the Federal University in Rio de Janeiro in Brazil. Her PhD project focused on vascular development in the C4 species Setaria viridis. She is currently working on a BBSRC funded project to activate photosynthesis in the bundle sheath cells of rice. Laura finished her Ph.D at the University of Birmingham studying the evolution of armadillo-like proteins in moss. She is now working on the evolution of 3D growth. 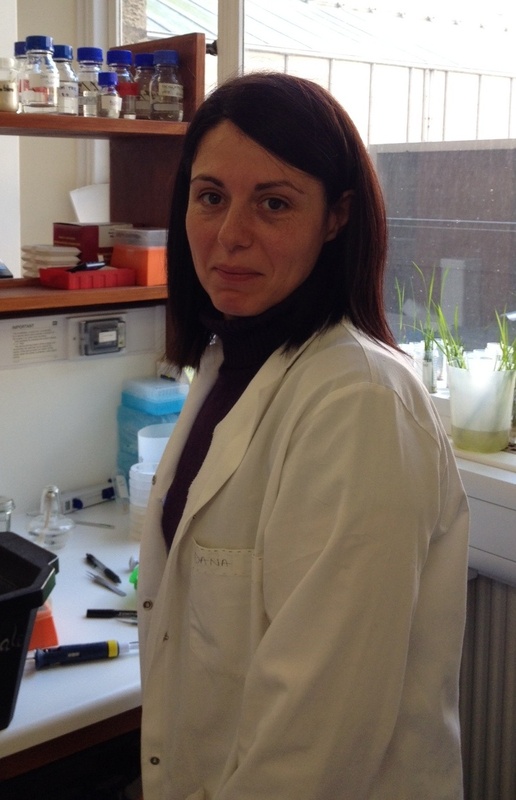 Dana did her PhD at INRA, Versailles, France elucidating the genetic basis of two shoot growth QTLs in Arabidopsis. She is now working on the C4 rice project and amongst other things is our Golden Gate cloning guru.